Last weekend I searched and searched the internet for the best buttercream recipe for frosting. I ended up making up my own. Most of the recipes I found called for 2 pounds powdered sugar and my recipe is plenty sweet. Not the best photo. 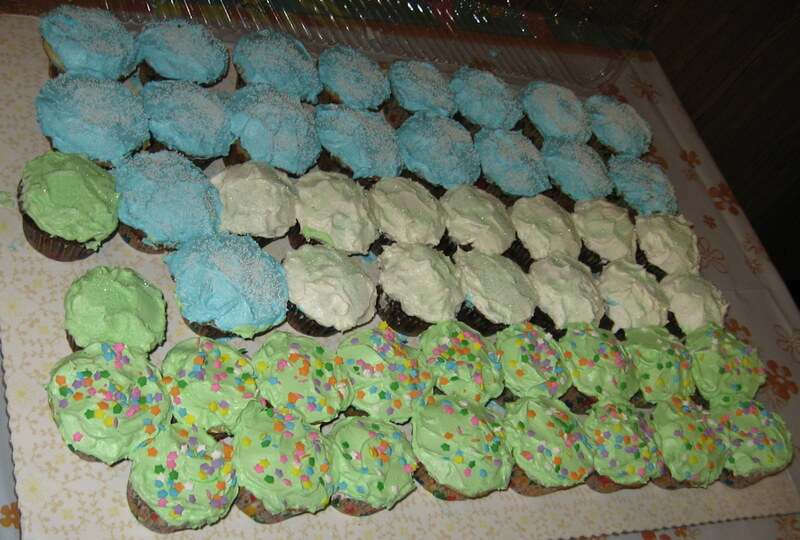 Oh, and one batch covers about 2 dozen cupcakes. ~ by mamadubs on September 14, 2008.